A TSA official won’t be charged with a crime after a woman accused him of sexually assaulting her during a search at the Denver International Airport, RT.com reports. Jamelyn Steenhoek, 39, complained in December that she was subjected to a “pretty invasive search” after being stopped at an airport checkpoint. 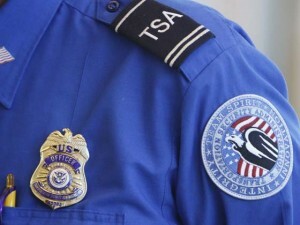 She said the TSA officer cupped her crotch and groped her breasts. The district attorney said there wasn’t enough evidence to prove sexual assault. “We would be unable to prove it beyond a reasonable doubt,” said Lynn Kimbrough, spokeswoman for the local District Attorney’s Office. Posted: 2/7/14 at 9:31 AM under News Story.